Apple (s AAPL), released sales data for its new iPhone 5 Monday and announced that there are 100 million iPhones, iPads and iPod Touch devices that are using the latest version of its iOS – version 6, that was released last week. That is an incredible uptake. In comparison, when Apple announced the first weekend sales of iPhone 4s, the company said that 25 million devices were powered by the iOS 5, then the latest version of its software. 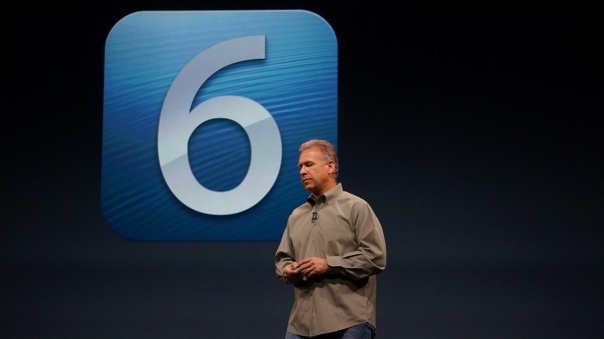 There are features about the iOS 6 map that are improved over Google maps. I have found addresses on the iOS map that I cannot locate on Google. Some addresses where Goggle has the wrong side of the street are correct on Apple. The iOS map is WAY faster than Google, with nicer graphics. I share concerns about more limited directions and the lack of street view, but if Apple gets those fixed, it will be a much better app. I am surprised that they rushed it to market. I know maps are depenant on where you are, but in Denver, I have no issues. Lots of my friends around the country have no issue either. Sure flyover distorts dome buildings/ bridges, bun most are pretty darn sharp. As to points of interst, Yelp is pretty good. I have looked internationally, and there are maps that appear pretty good, where the bloggers say they are blank…. And the processing speed makes for a great GPS that immediately notices that you missed a turn.. No more “recalculating” as it is pretty darn quick. Mileage may vary, but for me it is pretty good, better than google maps before. By the end of the month that number will be over 200 million, by the end of the year 300 million iOS 6 devices, want additional maps use the net. Just think search is next on the Apple list. His is one of many….. Kudos to Apple. Upgrading is fast, simple and straightforward. No carriers in the loop. A number of other companies can learn from this. I do like Android and have a vested interest since I develop drivers, services and applications for ASICs to run with Android. over 100 million devices have no good mapping software! how ridiculous is that? Good point. Time for Google Maps app to hit the store. I think YouTube experience got better as a standalone app. Depends on how many of these 100M obsess about one app, refuse to download other free options and like coming to tech blogs to whine about it. That is not the point. A great option, Google Maps, was replaced by a partially complete one. If mapping is a premier use of smart phones, one would expect better. Don’t make excuses for a company with this market cap, profits, cash flow and cash in the bank. You deserve better. We deserve better. Stop using us as alpha and era testers. That is why employees are for, not your customers.